1. Cook zucchini with the other ingredients numbered 1 for 4 – 6 minutes (do not overcook), stirring in between. Switch off. 2. When warm, add yoghurt, salt and mix well. 3. Heat oil in a small pan. Splutter mustard seeds and fry dried red chilly. Add sliced pearl onion and fry until brown. Add curry leaves and stir until crisp. Pour this over the raita. 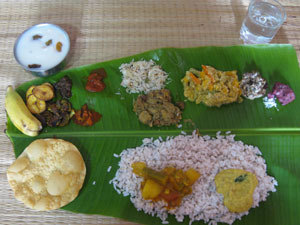 Mix well and serve with rice and other side-dishes.